Don't be intimidated. Before you meet with your members of Congress, PPMD will provide you with extensive training and support, so you go into your meetings feeling empowered and prepared. You will also be traveling with your fellow Advocates! Rooms are available at a discounted group rate of $249/night at the Mayflower Hotel, located at 1127 Connecticut Ave. NW, Washington DC, 202-347-3000. Reservations can be made online at this link or by calling the hotel directly and mentioning you are part of the PPMD block. 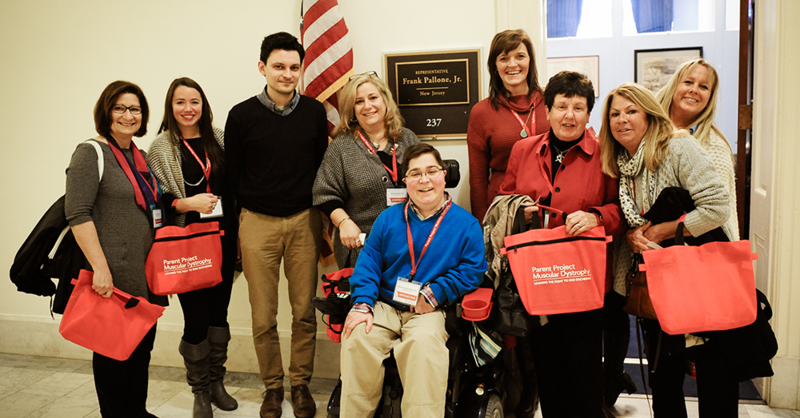 PPMD is excited to announce that this year’s action-packed Advocacy Conference, March 3-5 2019 will include a special Gene Therapy Policy Forum on Monday, March 4 from 9am to 3:30pm at The Mayflower Hotel in D.C. If you plan on only attending the forum register here. Please Contact Ryan Fisher at ryan@parentprojectmd.org. There is no fee for this event. Dinner will be provided on Sunday evening for advocate training, breakfast and lunch will be provided on Monday for the Policy Forum.